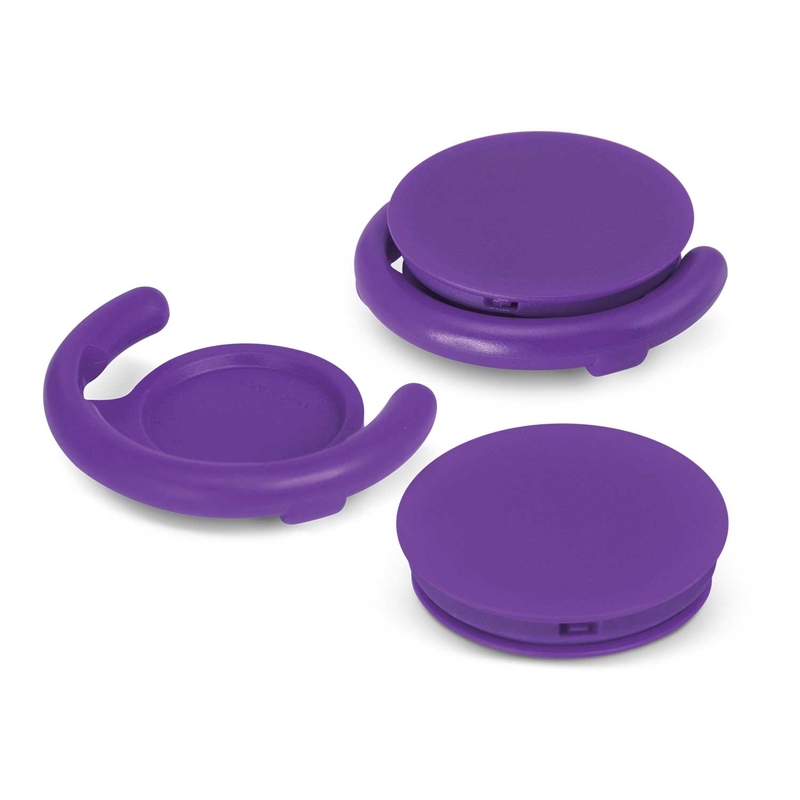 We have a new exciting promotional product special offer on our 113020 Wizard Phone Grip. Have your logo printed onto a Wizard Phone Grip. Your logo will look great printed onto a Wizard Phone Grip. Keep up to date with trendy promotional products for 2019. 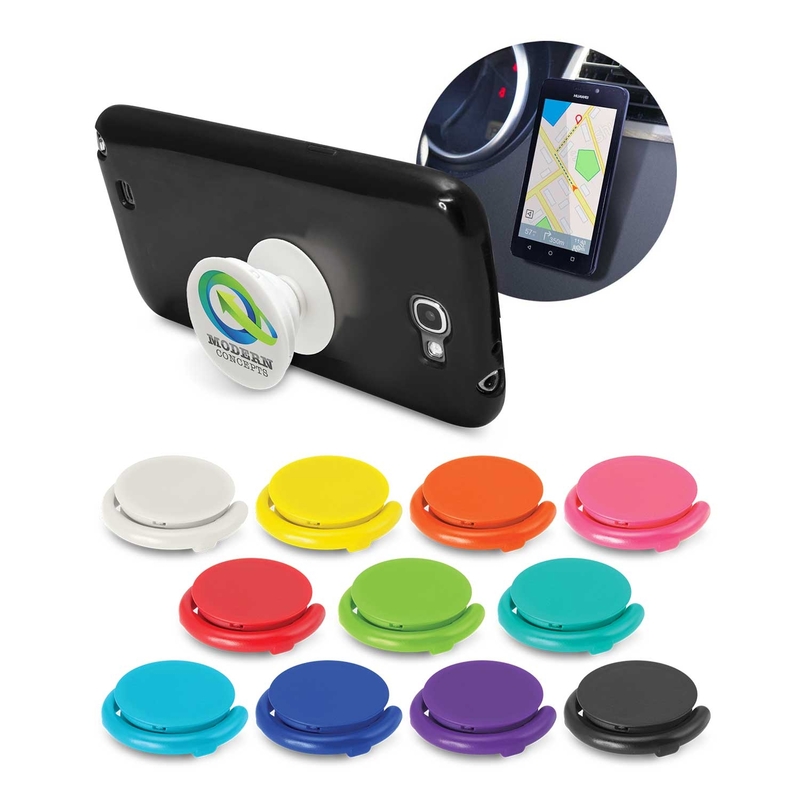 The Wizard Phone Grip is available in a range of colours to match your branding including white, yellow, orange, pink, red, bright green, teal, light blue, royal blue, purple and black. FREE ARTWORK SETUP! All prices are GST ex. The 113020 is a new product to the market, with a compact 10mm profile which adhers to the back of a phone or phone case and pops out to provide a secure hand grip. It simply slides between two fingers and reduces the risk of dropping a phone. It makes a great phone stand, and can even help taking a selfie. Goodgear supply a wide range of promotional products to businesses, sport clubs, schools Australia wide. We supply uniforms embroidered and printed with yout logo local to the Central Coast, Newcastle and Sydney. Our top brands include Biz Collection, City Collection, Biz Corporates, Bisley, DNC, King Gee, JBs Wear, Gildan Brands, Stencil, Aussie Pacific and more! Call us for a free quote today.